A common problem in older homes is ungrounded outlets with only two-prongs. All electrical outlets have two wires: the hot wire and the neutral wire. Outlets that are grounded have a third wire which directs any power surge back to the earth, thus absorbing any excess energy and reducing damage to your appliances. 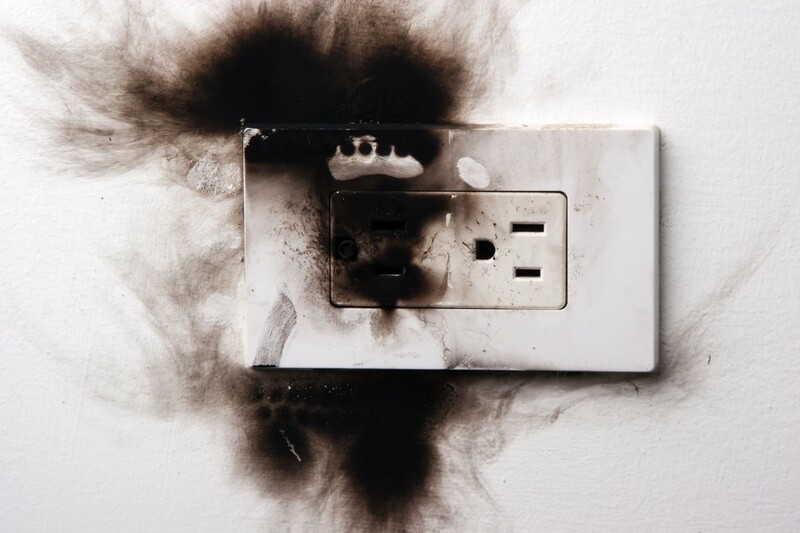 Homeowners should be aware of the risks associated with ungrounded outlets and consider contacting a local electrician to replace them with the more modern alternative. Without a ground wire to absorb the shock during a power surge, electrocution, shock, or even a fire can occur in your home. Ungrounded outlets are usually easy to spot because the outlets feature two prongs instead of three. However, in some older homes, owners may have attempted to modernize by changing the outlet cover to a three-prong outlet cover. Be aware! This outlet is still ungrounded and missing the critical third wire that would allow a safe, additional path for excess electrical currents. Always have a professional inspect the home – including the electrical system – before making a purchase. The key to safely using ungrounded outlets is to only plug low voltage items into them. If you only plan to use an outlet to power a lamp or another small appliance, it is probably okay to keep them. However, it is time to contact a professional electrical service in Rosemont, Maryland, if you need grounded outlets for multiple appliances or major appliances—washers, dryers, dishwashers, and refrigerators. Installing grounded electrical outlets is NOT a do-it-yourself project. Only a qualified electrician has the expertise to correctly run a ground wire from an outlet to your electrical service panel. Tim Kyle Co. Inc is an award winning electrical service provider in Maryland. We can assess your ungrounded outlets and provide your home with the necessary solutions. If you have any concerns about your outlet types or use, simply give us call to schedule an appointment. Or, click here and fill out our contact form.